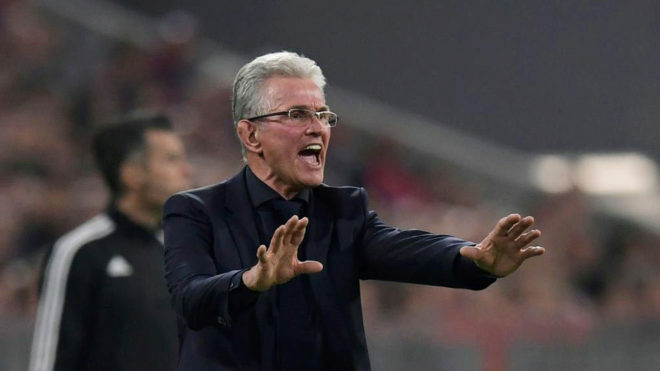 Clearly unhappy with his team’s performance against Real Madrid, Bayern Munich coach, Jupp Heynckes, tore into his players after the match, suggesting they were gifting their opponents goals whilst not taking their own chances. The Bavarians’ cause wasn’t helped by two injuries before the break, to Arjen Robben and Jerome Boateng. “We went ahead, but there was a turning point with their first goal, which was a gift,” Heynckes said to reporters after the game. “And their second was a gift too. “We’ve rarely had so many chances to score and haven’t done so, but we didn’t know how to take advantage of our opportunities. Javi Martinez was also forced off later with an injury to the head. “I can’t say if today’s injuries are serious,” the coach continued. “Javi Martinez was hit on the temple, but that was anecdotal after Robben and Boateng’s injuries. “We have to wait until Thursday for the results, but it would be two big casualties to lose. “Bayern will do everything we can to correct the result of the first leg. Franck Ribery was a constant thorn in Real’s side and Heynckes saw enough to still be confident ahead of the second leg. “Ribery is 35 years old, yes, but he has played excellently,” he added. “It must be said that in the first half he had a great chance, and if we went ahead we would have won the game, no doubt. “He is a great professional. and he has great self-motivation. “We have known each other since 2012 and it’s very important for him to feel the confidence of the coach.